I have always loved a happy ending and I believe all stories should have one. 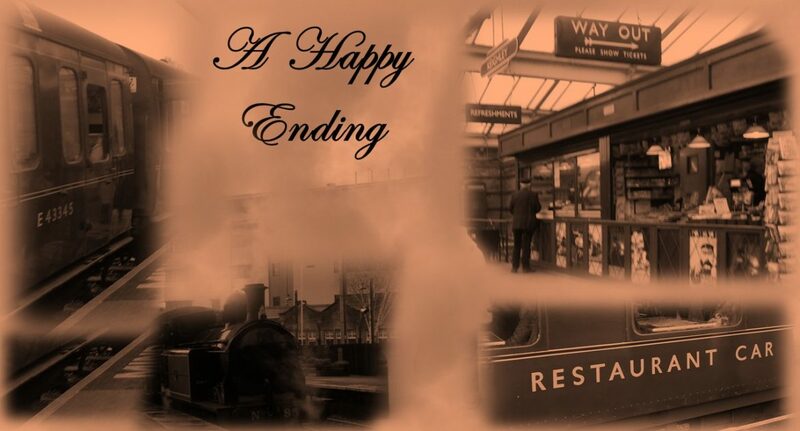 However, what is a happy ending? This will be the first of three blog posts reflecting on the question. I was a little girl when I watched Falling in Love (1984, dir. Ulu Grosbard). The film has a similar storyline to Brief Encounter (1945, dir. David Lean), although the filmmakers preferred to call it “an homage” rather than a remake. Meryl Streep and Robert de Niro are married to other people, but they begin an affair after a series of casual encounters at the New York subway. When I finished watching Falling in Love, I told my grandmother: “It has a happy ending. They get together”. To which she replied: “It is not happy. He left his wife and children”. At that moment, I understood that a happy ending is a question of whose perspective you follow. It was certainly not a happy ending for Lady Catherine de Bergh’s daughter when Lizzie decided to accept Mr. Darcy. My grandmother’s words were playing in my mind when I watched Brief Encounter (1945) as a teenager. This time, Laura (Celia Johnson) and Alec (Trevor Howard) meet while traveling in a London commuter train. They are tempted to have an affair but decide in the end to go back to their respective families. I thought this was one of the happiest endings I had ever seen. Before you think me too conservative, let me explain. I have always been more attracted to the Gothic love archetype rather than the Romantic. Romantic love, represented by Alec, centres on the excitement of getting together. In contrast, Gothic love focuses on how the relationship develops once it is established. When routine and domesticity become the norm, is love strong enough to survive? This archetype is represented by Fred (Laura’s husband), played by Cyril Raymond. Let’s analyse both. Is Alec defendable? After all, he is a married man chasing a married woman. Have there been other women before? He is certainly a disappointment for the friend who lends him his flat (this character fascinated Billy Wilder, who later gave him his own story in The Apartment, 1960). What about Fred? He may look dull now, but he was once the man Laura chose as her life companion. Significantly, she retells the story in flashback in her own thoughts, but she addresses her husband. Maybe because he is the person who knows her best. In the final scene, Laura sits in her living-room next to her husband, still upset after her painful farewell to Alec. When she burst into tears, he kindly asks her what is wrong. ‘I think I have been lost’, she says. To which he responds: ‘Thank you for coming back to me.’ They hug one another. At this moment, you wonder how much he does know. Has gossip about his wife and the doctor reached his ears? The important thing is he does not react like a repressive patriarchal authority. He patiently waits instead of jumping to conclusions. He does not take his wife for granted. He is conscious their marriage could end at any point and he is grateful she decided to stay. That, in my book, is a happy ending.